Building and assembling the Autocrat was carried out in two different sections - one dealing with the mainplanes, and the other with the fuselage. The fuselage was constructed of welded steel tube. The first stage in its assembly was the rough weld, where the framework was tack-welded in such a fashion as to preclude the possibility of frame distortion while it underwent the next process, known as clustering. In this operation the fuselage framework was held in a jig, rotated about its centreline and welded again, this time where several tubes met - hence the clustering. Smaller parts of the framework were then tack-welded in position and, finally, the fuselage underwent a full weld and cheek before passing on to the sandblasting and paint-spraying shops. The fuselage was then ready for the assembly lines. Stringers were fitted, together with the tanks, floor-boards, control torque-shaft etc, and then the line moved forward for fabric-covering. This was followed by doping and taping. The Perspex roof and panels, in addition to the inner cabin fittings, such as the seat frames, then the tail surfaces were attached to the main frame. The wings were of straight forward construction, with nicrol ribs and laminated spruce spars. Most of the fabric covering on the wings and fuselage was carried out by women, who formed a large proportion of the 350 people then employed by Auster Aircraft at Thurmaston. The wheels were then installed and, after the instruments had been inserted, the front bulkhead and the windscreen were mounted. The Blackburn Cirrus Minor Series II engine was then installed, and the cowling and doors were fitted, by which time the airframe had been completely doped in its colour scheme. The upholstery was added after doping. The wings were not fitted in the factory, the major subassemblies being transported by road to the assembly shops at Rearsby for final rigging and air-testing. 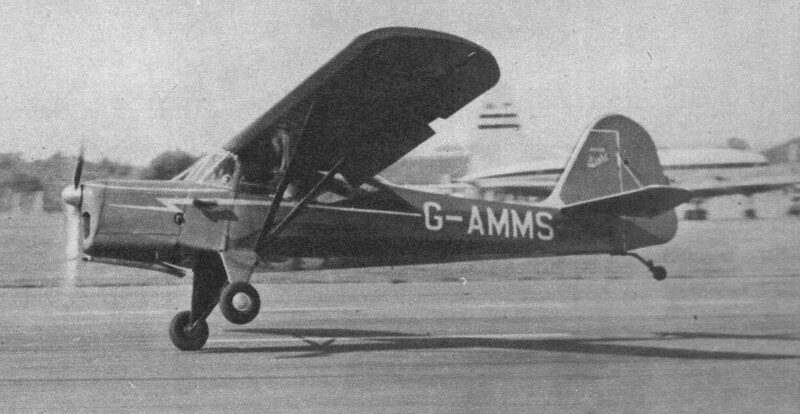 The Auster J/1 Autocrat, built in 1946 as a three-seater, was powered by 100 HP Blackburn Cirrus II. With a long range slipper tank, the Mk.V had a range of 600 miles (960 km) at a cruise speed of 85 mph. The Autocrat seats up to four. Only 420 J/1 Autocrats were manufactured by Auster Aircraft. In 1946, was priced at £975. 804 aircraft built, including three floatplanes, based on the Mk IV but with an improved instrument panel for blind and night flying capability. Variations included the J/lA with a fourth seat and the J/1N Alpha powered by a 120 HP DH Gipsy Major and the J/1B Aiglet which returned to the Cirrus. A usual load for the Aiglet was 5cwt (250kg). Only one of the Mk.Vc was produced. At least one was fitted with a Lycoming O-290 of 130 hp. 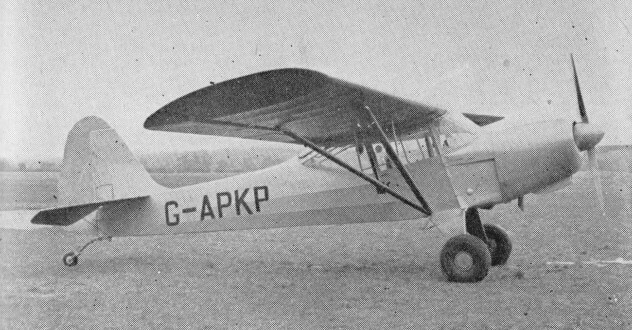 Auster Aircraft at Rearsby developed the J-1U Workmaster for agricultural work. Powered by a 180 hp Lycoming O-360-A, the first flight was on 22 February 1958. The model was in production for 1958. By 1955 more than fourteen nations were using the Aiglet Trainer (Gipsy Major 10 engine) for various civil and military duties. A side-by-side two seater, a third seat can be fitted at the rear. The Aiglet Trainer has a relatively short wing span which is four feet less than previous Austers. The fuselage is welded steel tube construction, and the wings have two wooden spars and light alloy and steel ribs. They are fitted with dual controls and wheel brakes. 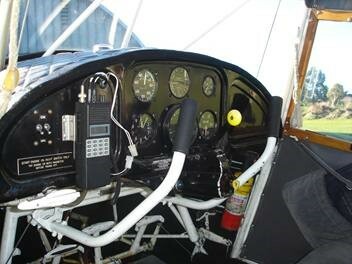 Engine: Lycoming O-290C, 120 hp.